Max Storm™ Overhead Conductors stand up to the stress of extreme ice conditions. The next generation in vibration-resistant conductors. 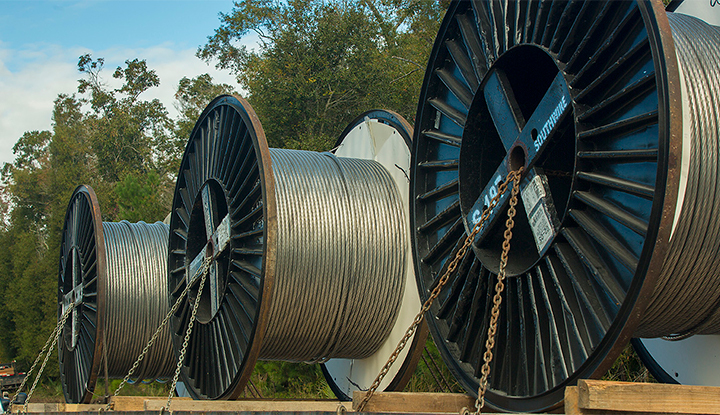 A world leader in overhead electric power transmission products, Southwire is constantly pioneering ways to bring efficient and sustainable solutions to customers. Groundbreaking products like Max Storm™ Overhead Conductors, C7™ Overhead Conductors and VR2® Vibration Resistant Cable are continuously redefining the industry.